Turning a hobby into a company just got a lot easier. 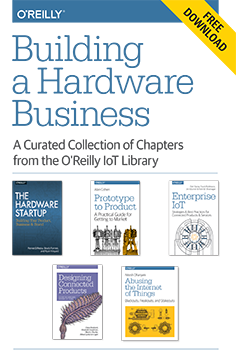 Download a free copy of “Building a Hardware Business,” a curated collection of chapters from our IoT library. Editor’s note: this post is an excerpt from “The Hardware Startup,” by Renee DiResta, Brady Forrest, Ryan Vinyard, which is included in the curated collection. Over the past five years, we’ve begun to witness the emergence of Maker pros: entrepreneurs who started out as hobbyists and now want to turn their creations into full-fledged companies. The difference between a project and a product is the difference between making one and making many. To turn a project into a company, the product has to be scalable. 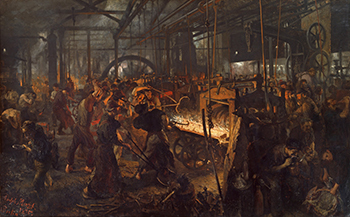 “Making many” has traditionally been a problem of cost and accessibility; it’s historically been both expensive and difficult to manufacture. Growing a company further requires keeping costs low enough to profit, setting up distribution channels, and managing fulfillment. Over the past few years, several trends have combined to create an environment that’s mitigated those problems. This has resulted in the growth of a hardware startup ecosystem. Tim O'Reilly and Carl Bass discuss the future of making things, and Astro Teller on Google X's approach to solving big problems. Editor’s note: you can subscribe to the O’Reilly Radar Podcast through iTunes, SoundCloud, or directly through our podcast’s RSS feed. I recently lamented the lag in innovation in relation to the speed of technological advancements — do we really need a connected toaster that will sell itself if neglected? Subsequently, I had a conversation with Josh Clark that made me rethink that position; Clark pointed out that play is an important aspect of innovation, and that such whimsical creations as drum pants could ultimately lead to more profound innovations.